If you are looking for the perfect Europe spring break, Barcelona is your ideal itinerary. We will suggest you how to plan your spring break in Barcelona, keeping an eye on the budget, but not missing anything. Planning a trip to Spain in spring is the ideal things to do. 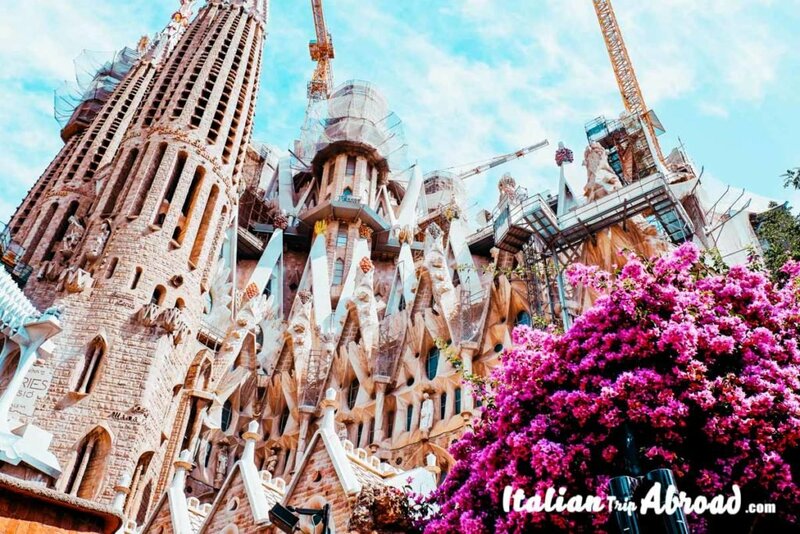 Spring in Spain is the best time to visit, and go to Barcelona in April or May will be the best, the city is not crowded yet and the temperature is ideal to discover the city. If you are lucky during your Spring break in Barcelona, you could pay a visit to the best beach in the city, Barceloneta. 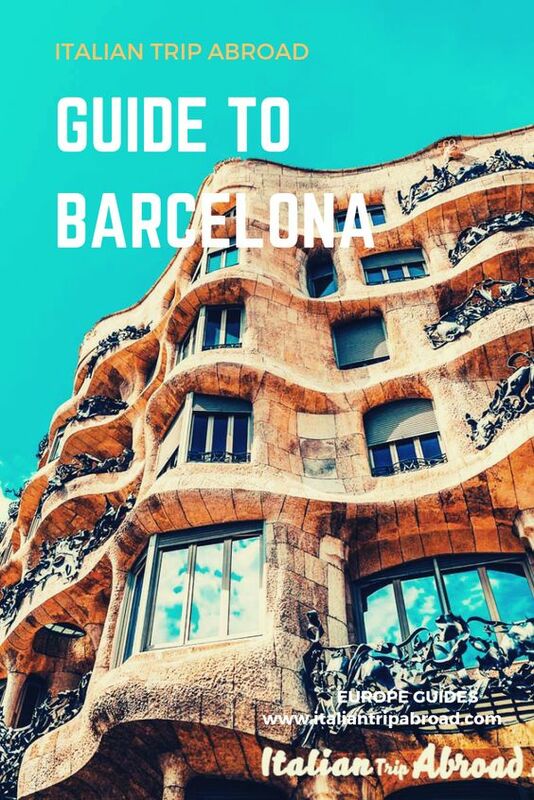 A complete itinerary to who want even spend just a weekend in Barcelona. Enjoy the Festivals in April and try to learn how to say Spring Break in Spanish drinking a Cerveza (A beer) on the beach. The Spring Break in Barcelona will make you enjoy the beach, nice food and cold beers. Living in London was not easy to spend spring. That’s why our mind is always in Spain when the spring approach. The London Blossom is nice, but you want to compare it with a nice, cold beer outside a bar in Barcelona? You get our idea, right? Spend your Spring Break in Barcelona will recharge your battery, at least a weekend away from the routine, in the middle part of the year. Barcelona is cheap, filled with tasty food and really nice and lively bars. There are a few areas in the city center, where the locals love to meet. In Barcelona, there is even a huge group of expatriate, somebody that went to Barcelona to work attract by all the locals amenities and the nice Spanish lifestyle. When is the Spring Break in Barcelona Spain ? The spring break in Barcelona Spain is the same as in the rest of Europe Springtime. Just one thing makes the difference. From March to May, is a proper spring in Spain, different from the other European Capital as London or Paris that Spring is sometimes late. Spring in Spain means Easter time. It is the time when all the countries come back from the winter lethargy and become lively again. 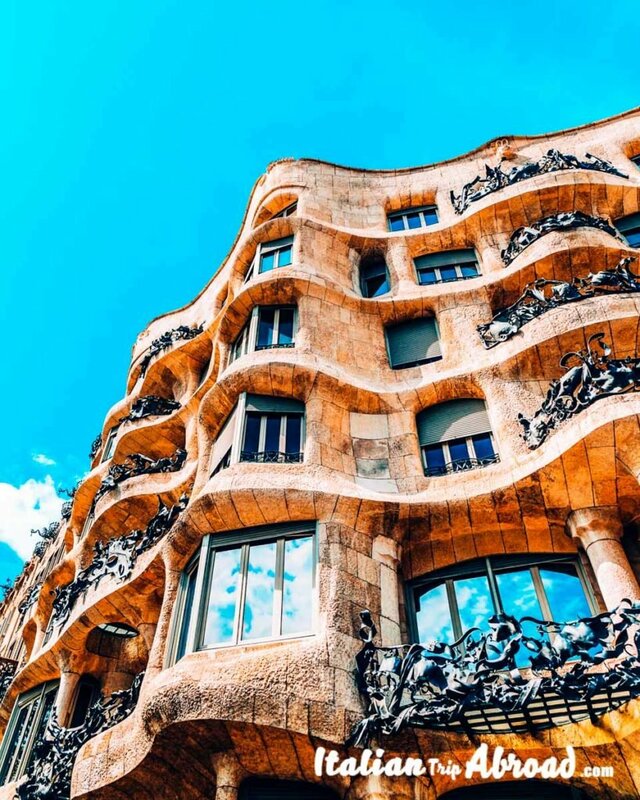 This is the masterpiece of the Catalan Artist Antonio Gaudi’. In 2005 it becomes part of the World Heritage. Check for the entrance and the ticket, you have to visit inside this amazing and unique ceramics at the wall. The Sagrada Familia is another masterpiece of Antonio Gaudì. The Architect projected this amazing church that is now one of the most visited monuments in Spain. Over 4 million tourists visit this place every year. The Church is still under construction, since 1882. Where the real passion of Barcelona meets. Football is the sport of Spain and of Barcelona. The Camp Nou is the Temple of Football. Lionel Messi, is the most known player, but in the history of this football club there is many more. All the trophy, the shirts and balls regarding this club are exposed at the Museum of Barca, at the Camp Nou. Plan a visit to the Stadium, or even better, check for the ticket for the next match of Barcelona. Are you looking for a quick spring escape? Barcelona is your destination for a Spring day trip in Europe. You can reach Barcelona for a cheap flight ticket from everywhere in Europe. If you are looking for a ticket, check better for nearby airports, like Girona. The airport of Girona is just one hour away from Barcelona but has a lot of low fare companies landing there. 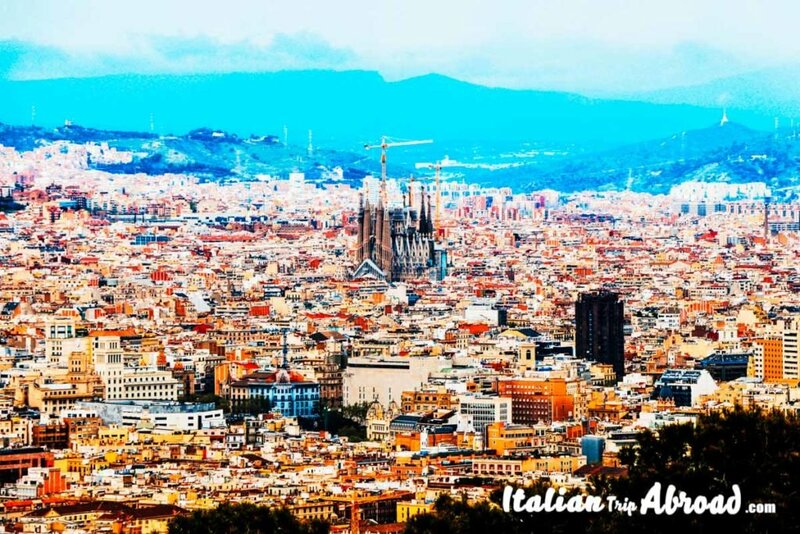 Why Barcelona for your spring break in Europe? Barcelona is most known as the second capital of Spain. It is in Catalunya, an amazing place that extends the board until France. It is a place that most define will never sleep. Like it was in lethargy, after winter this city start to be lively again. It is one of the most beautiful cities in the World, and do it is on the Mediterranean sea, the temperature is the best for a Spring Break in Europe. It is Spain, and Spain is cheap, so Barcelona is. From March on, until June you will have a mid-climate round, that gives to the visitors great warm spring temperatures. 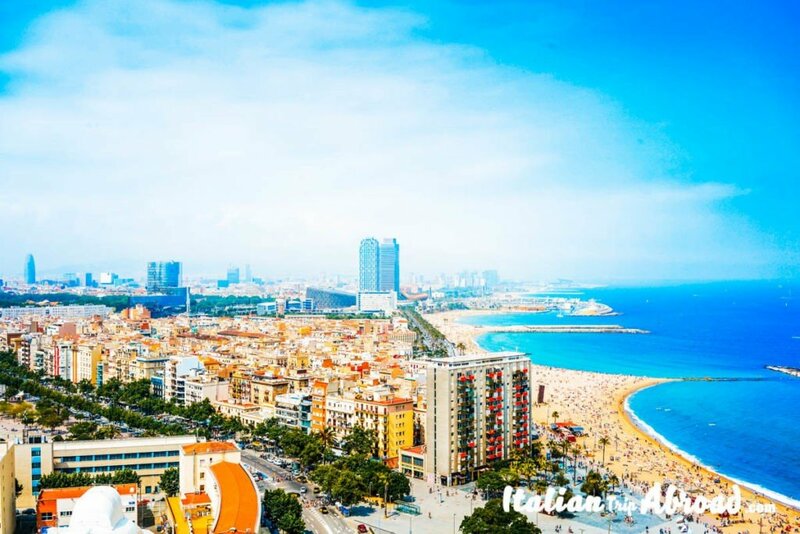 For us, Spring is the best time to visit Barcelona and enjoy the beaches. Those are not crowded as summertime, but ideal for a couple of relaxing days chasing the sun. We always think about that Travel is enjoy your journey. It will be an enjoyable day discovering places, just starting with a nice breakfast. It is our way to deal with the stressful day, walking a lot, and be overwhelmed by surrounding amazing building and masterpieces. In Barcelona, the breakfast is a must. As Spanish culture it is not just with a coffee or a croissant, but it will be more satisfying. The Spanish breakfast, the traditional good morning, is with churros and chocolate, or with a Tostada. This one is a classic bread customized as you want, with cheese, Jamon, bacon and more. But the real question is where to eat a nice typical Barcelona Breakfast? Here we go with our list. There are many places where to have a nice Breakfast in Barcelona. 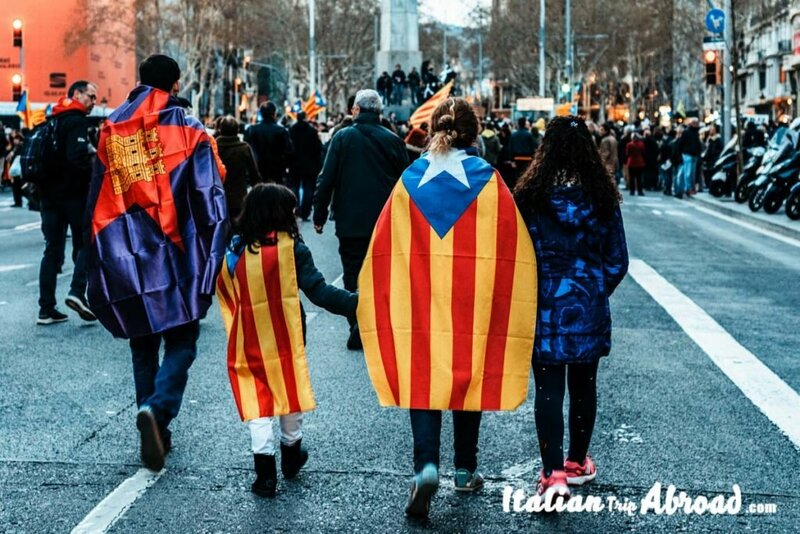 But the view on the Rambla, the main street of Barcelona, is the best way to enjoy the Catalan Capital. La Ramla is not just the ideal spot for a nice breakfast, thanks to local bars and international chains as Sturbucks and McDonalds. It is a great spot for shopping, with many brands and the official store of the F.C. Barcelona. You can have a nice and fresh breakfast at the local market. Mercado la Boqueria is one of the most amazing places I have never been to. This local market is well known among locals also as Las Ramblas Market of Barcelona. It is the main market in Barcelona, in the city center. It is the colorful, tasty and nice smelly market in the heart of Barcelona. There is basically nothing you can enjoy more in Barcelona. Have here your Breakfast, fresh and almost Km 0, directly from the farm to your table. La Boqueria is not the only District Market in the Barcelona Old Town. Other markets as Sant Antoni or Santa Caterina are really great and gorgeous. Choice your fresh local market for the breakfast is just up to you, depending on the position where are you staying in Barcelona. For a genuine breakfast on the Beach, Barceloneta is your destination. It is close to the city center, that makes easy for everybody point to it. There are so many places that will serve you a nice breakfast with a sea view. Some of them are really cheap, and not worth just for breakfast but even for lunch with the sea breeze. Between the metro stations of Liceu and Jaume I, there is the “Barrio Gotico”. It is a suggestive part of Barcelona, where the locals and tourist spend the nights. Is here where most of the trendy night clubs are based. Here we suggest to stroll around for a nice Breakfast Spanish Style, be confident with the area, and come back at night. Spring Break is the time when Spain start to be lively from the long winter. Especially the Southern Part of Spain start to make up parties and the festival are running through all summer and over. But how to deal with locals and how to say a few words in Spanish? You can translate spring break in Spanish as Vacaciones de primavera. Fiesta is the Spanish way to say party. If you are looking for a beach, it is time to as for “dónde está la playa ?”. Time for a drink, For a cold beer “Una cerveza fresca por favor”. The itinerary off the beaten path of Barcelona will go deep in the district. We will suggest a few amazing places, that are not crowded by tourists but are rich in history and culture. The church of Santa Maria del Mar is a place that you have to see. It is located in the historic quarter of the Barrio Gotico, really close to the Rambla. This church will literally take you back in time and tell you a nice story. The best off the beaten path, rent a bike and, immerse yourself in the narrow streets of Barcelona. Live like a local. Visit the Hospital de la Santa Creu y Sant Pau, another Unesco site. The Montjuic Castle is a 16th-century building that can be reached by bus or car. Due to the hard way to reach it, is taking the place in our guide for a Barcelona off the beaten path. You can visit this amazing castle on the top of the hill, with the bus, the 150, or with the cable car. Go toward the metro Parallel and take the cable car to the top of the hill, for an amazing view, for the best shot of your Instagrammable Barcelona. Barcelona is the ideal city in Europe for a Spring Break. It has everything. Barcelona is a charming and relaxing city, with nice food and friendly locals. The nightlife in Barcelona is one of the best in Europe and it has got the beach. Who wants to go to the beach? The temperature in Barcelona in Spring give you the chance to stay on the beach and enjoy the sea. Also, there is the best Spring break festival, that involves young from everywhere in Europe and over. What is the Feria de Abril? It is one of the most famous and popular time of the year in Barcelona. It will take place around the last week of April, every year. During 10 days of April Barcelona is more lively than ever. This is the best time to visit Barcelona for a spring break. There are flamenco shows and it is most known as La Feria de Abril de Cataluña. The 23rd of April Barcelona is lively again, it is the festival of Saint George, the Patron Saint of Cataluña. If you head in this period be aware that the prices will be up. It is not vacational high season, but is a local festival that attract a lot of tourists and people from everywhere in Spain. Barcelona is not just fun for single. This city will be amazing and romantic too. As most of the people say, Barcelona is not just a hustle and bustle place. We will bet everything that a fancy dinner by the sea will be your dream right now. Barcelona has got everything a great Capital needs. It is romantic but crazy, fancy, but really comfortable. A romantic Spring break in Barcelona will not break the bank but give you two or three days really amazing. Is possible to enjoy most of Barcelona in three days. Or even you can see the most important sightseeing of Barcelona in two days. For a romantic scenario, we suggest visiting the Magic Fountain at night. This special fountain is just outside the Palau Nacional, close to an amazing square, Plaza España. The lights and the water games, make this an amazing and romantic scenario, the ideal place for couples in Barcelona. During the day this is an amazing photo spot of Barcelona, where take the last shot for your Instagram account. 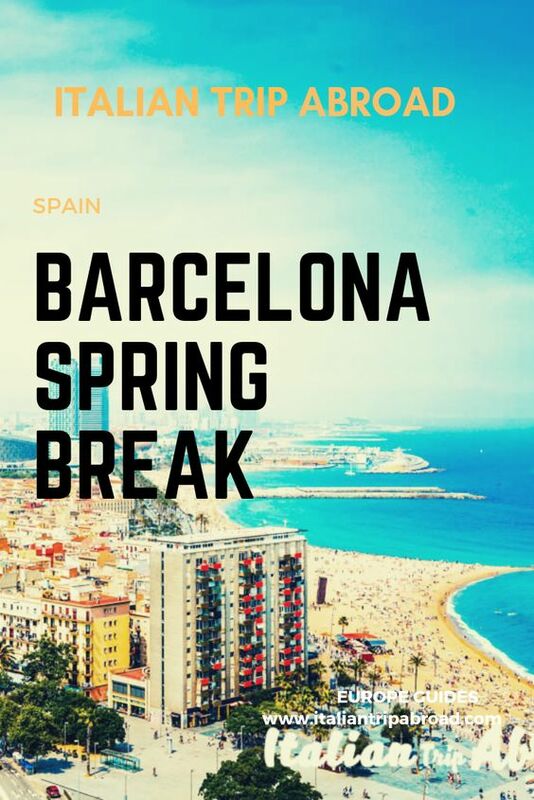 Organize your spring break to Barcelona is the best idea. There are people that organize even a stag do in Barcelona in Spring. 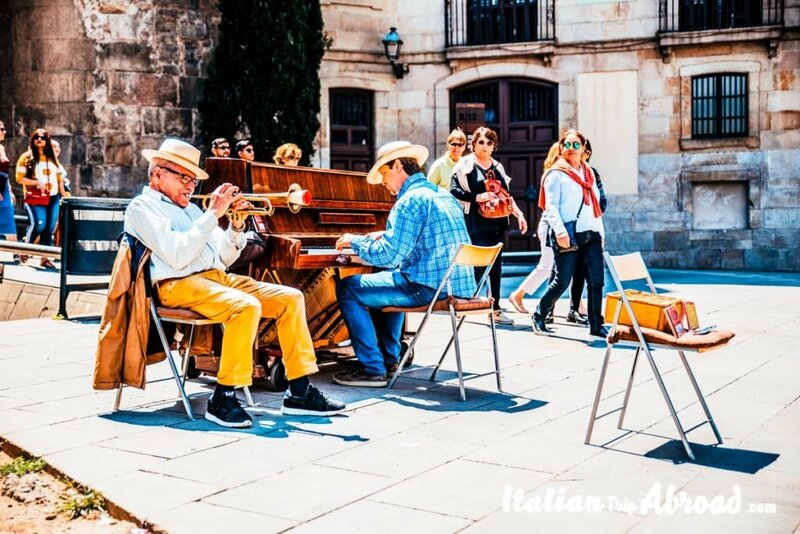 In Spring in Spain, a lot of Italian, German and British people love to spend the holidays. The low prices and the relatively low cost of living, make Spain as one of the common choices for a spring break. Also, Spain is most known as a lively and party place. For the best Europa Spring Break, Barcelona is the pin on your map. Great list of things to do in Barcelona guys. One of our favourite cities, although we haven’t been to Montjuic Castle so might have to plan a return visit! Thanks for your comment Paul. Barcelona is amazing. Spain seems like a GREAT place to go for spring break. Your pictures are gorgeous, those alone make me want to book a one way ticket! Thanks for putting together such an awesome itinerary. Great writeup! we did Barcelona a couple years ago and loved it. Especially just wandering around the Gothic Quarter and eating gelato! Oh, Spain! My husband and I went there years ago before we were married. 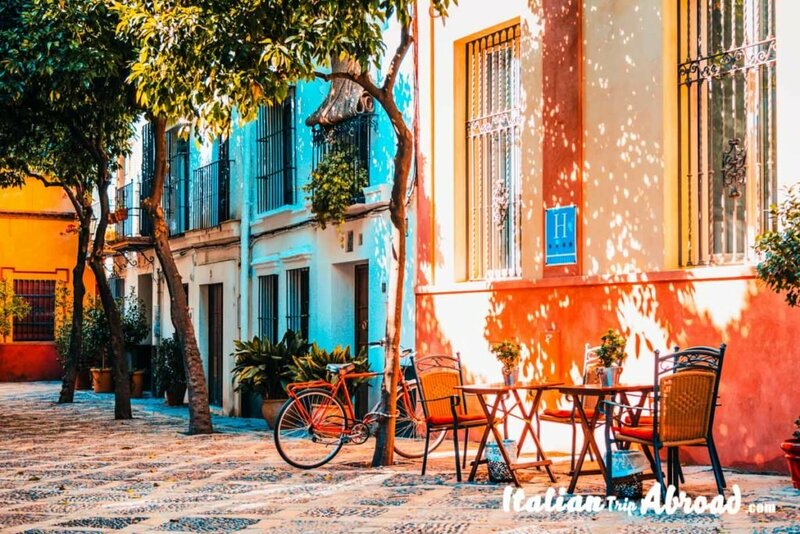 Your article left me daydreaming about colorful sites and churros…maybe it’s time to go back! Yes you are absolutely right: Barcelona is such a great place to visit. There are plenty of things to do there that one time if not enough at all! Barcelona is an amazing place to visit and I feel spring is the best time. You can beat the touristy crowds that come during the summer and still enjoy some great weather.